Sony Pictures has announced today that Shane Black will be directing and co-writing Doc Savage. Shane just recently directed Iron Man 3, which now has the second-highest box office opening gross so far. 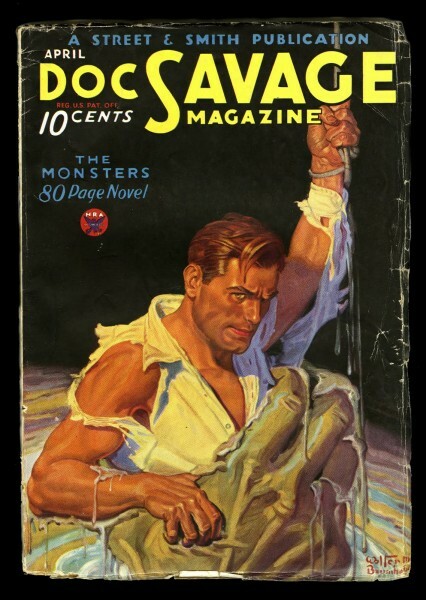 For those of you who don’t know the Doc, he’s a hero from the 1930s and 40s pulp novels. He’s a pretty remarkable guy, since he’s a scientist, physician, adventurer, inventor, explorer and researcher. He’s almost superhuman, thanks to his training since birth. Some of his skills and abilities include strength, photographic memory, and intelligence. The screenplay is also being written by Anthony Bagarozzi and Charles Mondry. Once he’s done with Doc Savage, he may start work on the live-action Death Note movie. Now that Iron Man 3 has been released, are you excited about his next project?